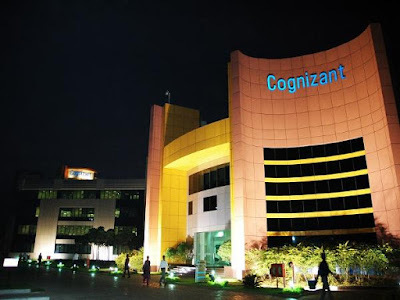 Cognizant, a leading software services company with most of its operations in Chennai, may fire 6,000-10,000 people, to reduce redundant and non-performing employees. The reduction in employee base will be a part of the appraisal process, according to reports, as digitisation and automation are becoming the new normal with Indian IT firms, and Cognizant is not different from Infosys, Wipro and TCS. The company has not issued any statement on the reduction of the headcount, but sources said that “it is a regular process for IT companies to go through this process, but the number of people are on the higher side.” The source did not want his name to be disclosed. Cognizant was once the fastest growing IT company, and had overtaken Wipro in 2011. It was known for customer-centricity and would often undercut competition on client pricing, even if it was on the back of lower operating margins. As a result, it added more clients that its competition. When Infosys had operating margins of 26%, Cognizant was happy with 20%. That was also because of Cognizant’s upbringing. Cognizant started as a captive of ratings data giant Dun & Bradstreet (D&B), which was spun off in 1996, and got listed on the American bourses in two years later. In a meeting with this journalist a few years ago, Lakshmi Narayanan, then Cognizant’s vice chairman had said that since it had only one client (as a captive) it focussed on technology and providing impeccable service. But, the way IT services are being delivered is changing. Add to that, America’s growing protectionism is making offshore business difficult. Clients want a higher degree of automation, and digital services have already started contributing to 20% of IT services’ revenue. Cognizant is buying companies to build it digital business and consulting capabilities. In November it bought Mirabeau BV, a digital marketing and customer experience agency, and Japan’s Brilliant Service, which specialises in Android and iOS apps. Earlier, it had bought TriZetto, Frontica Business Solutions and Adaptra. The decision to fire employees comes at a time, when Cognizant has announced that it will return $3 billion to its shareholders through buy back, and has said that it will focus on improving margins -- up from its traditional 20% to 22%.